There cannot be any football fan who doesn’t know that Arsenals nickname is The Gunners, and there cant be many more who don’t know why. It is of course down to the fact that Arsenals origins were at Woolwich Arsenal and we have shown below a few examples of the Gunners nickname.. 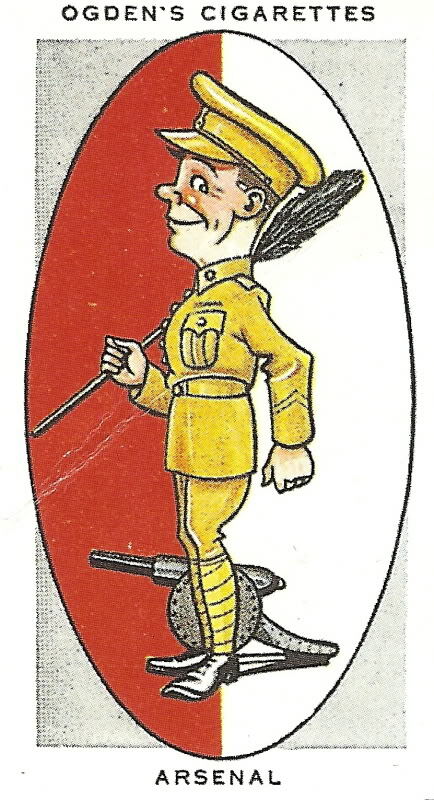 The first one below is from a series named AFC Nicknames which was originally released in 1933 by Ogdens, they were subsequently reprinted in 1997 by Imperial Publishing. "Arsenal were originally known as Royal Arsenal and later Woolwich Arsenal. 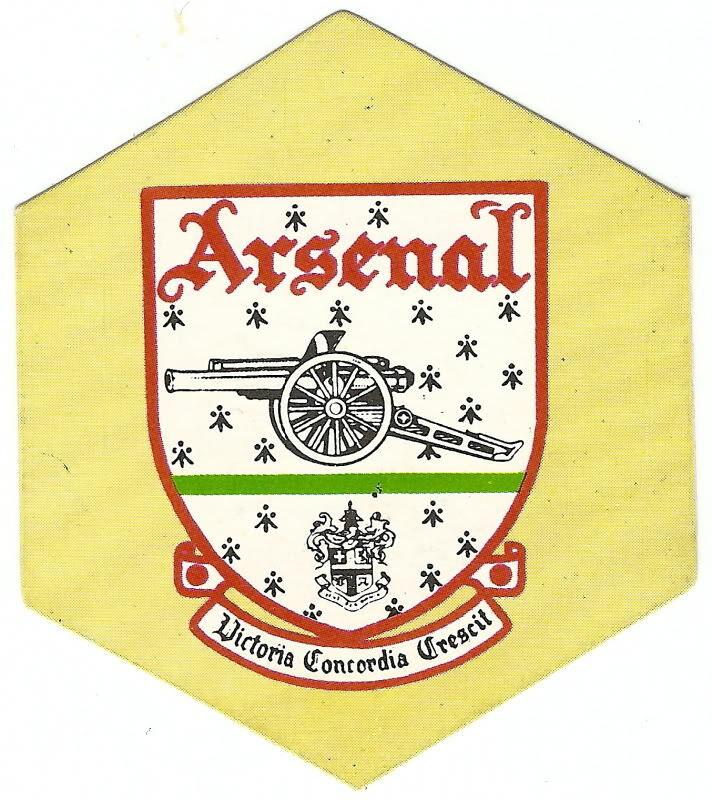 They were nicknamed "Gunners" because of the clubs association with the armament factories at Woolwich." "Arsenals nickname of the Gunners stems from the days when they were associated with the old Woolwich Arsenal. 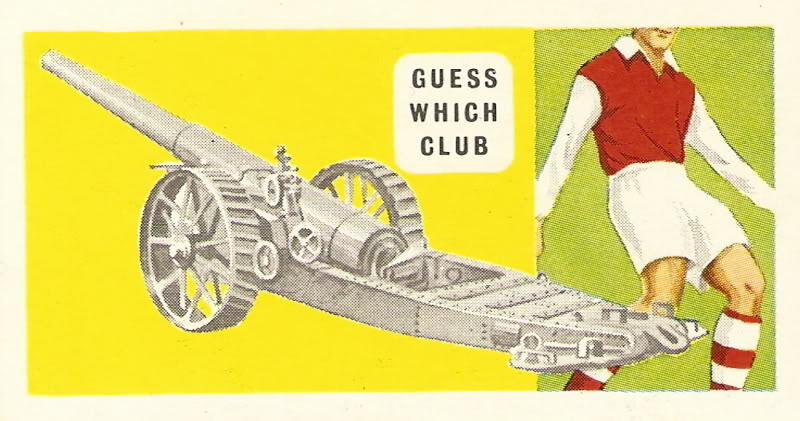 A cannon is shown on their badge - in keeping with a club that is one of the hot-shots of the First Division." The card was part of a series issued by Mister Softee in 1971. 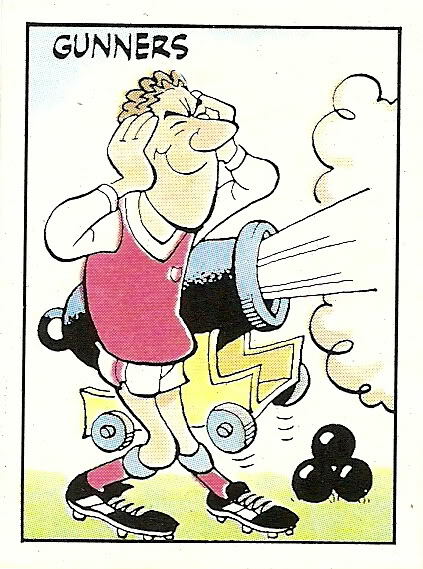 The cartoon above is Paninis take on the Arsenal football nickname, this character was part of the Panini 86 sticker series. Again, this sticker can be purchased on this site where it has been mounted in a clear fridge magnet.